They went on to win five league titles, five FA Cups, the League Cup and European Cup Winners’ Cup between them. Ill-health forced Hill-Wood to step down from the position in June 2013. Arsenal said he was also ‘instrumental’ in the successful move from Highbury to Emirates Stadium in 2006. “Peter and his family’s influence on the club cannot be understated… Our thoughts are with his wife Sally and his children Sarah, Julian and Charles,” the statement, posted on the club’s website, concluded. Watford have roared back after a blip while their opponents on Boxing Day, Chelsea, have lost three of their last six EPL matches and will be tested against the Hornets on Boxing Day. Though the Blues have a good Boxing Day record – they have not lost any of their last 13 EPL matches played. Maurizio Sarri described his team as one “in mental confusion” after they conceded to Leicester and this could mean a recall for Olivier Giroud from the start against a physical Watford side. Roberto Pereyra scored the fourth goal in a 4-1 win over Chelsea last February but believes Sarri’s Chelsea will be tougher to beat. These two were the protagonists in the two shock results last weekend. Leicester City went away to Chelsea and won 1-0 while Pep Guardiola’s side, against all expectations, lost 3-2 to Crystal Palace at the Etihad Stadium. Guardiola needs Kevin de Bruyne in top form to replace the metronome passing of the injured David Silva while Fernandinho may also miss out at the King Power. David Silva’s vision and range of passing were missed against Palace and Guardiola acknowledged the fact to his club’s website. For Leicester, the win at Stamford Bridge lifted a load off Claude Puel’s shoulders but another victory against the defending champions will give him a new lease of life. Jaime Vardy may have to be rested for this one. Both Inter and Napoli cannot afford a loss in chasing down Juventus and a draw would not really do any of them any favours. Between Napoli and Juventus is an eight-point gap and between Inter and Napoli is also an eight-point gap. Napoli manager, Carlo Ancelotti, will hope his front pair of Dries Martens and Lorenzo Insigne is sufficiently motivated to end personal droughts at the San Siro. Mertens hasn’t scored at San Siro in while Insigne has scored only once in 11 visits. For Inter, Luciano Spalletti has squad issues with Radja Nainggolan suspended and fined while bigger European sides are winking at Mauro Icardi and their visitors on Boxing Day have a great record against the Nerazzurri, losing just once in 11 previous meetings. Can anyone stop Juventus from cruising to an eighth consecutive Serie A title? At the moment, it does not look like it. But if any team will try, it will be Gian-Piero Gasperini’s team. Atalanta have scored 13 goals in eight home league matches and conceded just five though Juventus are yet to lose in the league this season whilst conceding just four goals in eight away matches. Atalanta’s task has been made tougher with Rafael Toloi and Jose Luis Palomino, missing due to suspensions. Juve have won their last two matches with single goals and another clean sheet at the Stadio Atleti Azzurri d’Italia in Bergamo will guarantee another away win. Manchester United striker, Romelu Lukaku, could be set for an Old Trafford exit, with Juventus ready to make a move for the player. The Serie A league leaders are on the hunt for forwards to take over from players like 32-year-old Mario Mandzukic, according to CalcioMercato. Lukaku has scored six goals in 22 appearances for United so far in this campaign. The 25-year-old, who missed Ole Gunnar Solskjaer’s first win as United boss on Saturday due to compassionate leave, is not the only United player on the Italian club’s radar. Sportsmail reported last week that Paul Pogba’s agent, Mino Raiola, held talks with Juventus but United do not wish to sell him. Raiola is understood to have discussed a number of his clients with the Italian champions, who hold an interest in re-signing the midfielder they sold to United for £89million back in 2016. Liverpool manager, Jurgen Klopp, has said they are on course for a “special” season, but fears they may need over 100 points to win the title. Mohammed Salah scored and teed up Virgil van Dijk, to ensure Liverpool will enjoy Christmas at No.1 after a 2-0 win over Wolves on Friday night. “It is up there, to have 48 points mid-December is just crazy. “We know we are good and are in a good moment. But we have to respect the others are good as well and we know we cannot start the party or plan a party for the summer now. “For the moment it is really nice and now we have to make sure we get fresh legs as quickly as possible,” Klopp told reporters after the game. 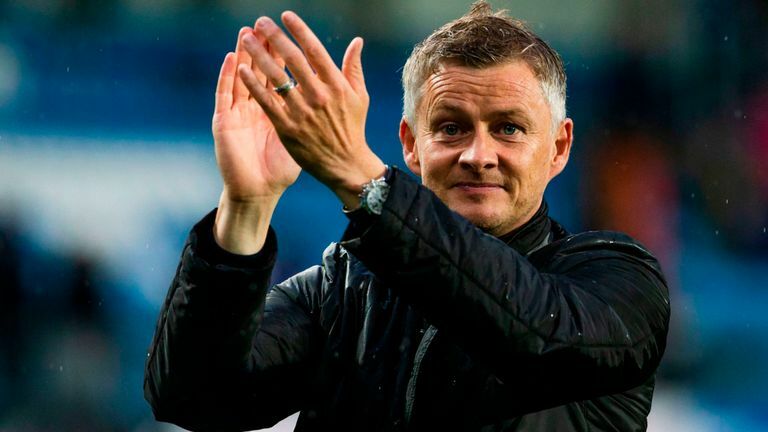 Manchester United interim manager, Ole Gunnar Solskjaer, has urged his players to “express themselves”, as he prepares to take charge for the first time against Cardiff on Saturday. Solskjaer was appointed following the departure of Jose Mourinho. The Norwegian has signed a deal until the end of the season, when he is expected to return to Molde. Speaking ahead of his first game against former club Cardiff, Solskjaer says his focus in the lead-up to the match will be on his players, rather than the opposition. “We’ve got a great set-up, with all the analysts. When I came in this morning they were watching Cardiff. Of course I’ve watched the Premier League, I’ve seen all the teams so I’ve got a little bit of a view on them. “But it’s not about the opposition it’s about us, it’s about Man Utd, it’s about our players knowing what they can do, seeing them express themselves. “So my main focus will be on us, how we want the team play and then will give a few details on the opposition,” Solskjaer told MUTV. Arsenal striker, Alexandre Lacazette ‏has called on manager, Unai Emery to explain why he dropped playmaker, Mesut Ozil in Gunners’ 2-0 defeat by Tottenham Hotspur in the Carabao Cup quarter-final encounter on Wednesday night. Goals from Son Heung-min and Dele Alli ensured Mauricio Pochettino’s side defeated Arsenal at Emirates. Lacazette took to his Twitter page following Arsenal’s defeat to Spurs to ask Emery to explain why he dropped Ozil for fellow teammates, Henrikh Mkhitaryan and Alex Iwobi. “Dropping fit Ozil for Mkhitaryan and Iwobi two games in a row for ‘tactical reasons’ is a disgrace if you ask me. This needs huge explanation,” Lacazette tweeted after Arsenal’s 2-0 defeat to Tottenham. Arsenal will now tackle Burnley on Saturday afternoon in the Premier League fixture at Emirates. In the entertaining tie on Wednesday, Chelsea had buzzed round the Bournemouth goal for much of the game. But it was not until substitute Hazard came on with half an hour to go that they looked creative and decisive enough to break through. Chelsea had piled on the pressure from the start and there were good chances for Olivier Giroud and Ross Barkley, who forced a diving save from Artur Boruc. There was also Willian, who surged forward from the halfway line after 30 minutes only for Boruc to block his rising shot. Bournemouth looked dangerous on the break and Callum Wilson ran through on goal in the 17th minute, but pulled his shot wide. A scampering run from Jordon Ibe opened up the Chelsea defence 20 minutes later and Chelsea goalkeeper Kepa Arrizabalaga had to do something extra. He had to dive to his left to keep out Lys Mousset’s curling shot. Ruben Loftus-Cheek looked certain to break the deadlock early in the second half after rounding two players, but his shot flew inches past Boruc’s post. Chelsea brought on first Pedro then Hazard and it was a combination of the Spaniard and Belgium’s Hazard that made the goal. “The difference was the changes that we made,” Chelsea’s assistant boss Gianfranco Zola told reporters. Another player who caught Zola’s eye was England midfielder Loftus-Cheek. “I was impressed with him. He has done well as a wide player, but he showed a lot of sacrifice as a midfielder,” Zola said. It was the first home game since alleged racist taunts against Manchester City’s Raheem Sterling prompted an outcry and Chelsea banned four fans. In the other quarter final match, Tottenham Hotspur gained sweet revenge over North London rivals Arsenal as goals in each half by Son Heung-min and Dele Alli earned them a 2-0 win on Wednesday. It also earned them a League Cup semi-final place. Seventeen days after losing 4-2 in a pulsating English Premier League clash, in-form Tottenham returned to the Emirates. This time they claimed a first away victory over Arsenal in eight years and set up a two-legged semi-final against Chelsea. Son opened the scoring against the run of play with a stylish 24th-minute effort from Alli’s pass and Alli doubled Tottenham’s lead with a delightful dinked finish on the hour. Shortly afterwards Alli appeared to be struck by a plastic bottle thrown from the Arsenal fans but it did not dampen Tottenham’s night. They took a step towards a first trophy under Manchester United target Mauricio Pochettino. “It’s a big derby. Last time we were here we didn’t have a great result and this is a special night,” Son said. Arsenal had gone 22 matches unbeaten in all competitions under new manager Unai Emery until Sunday’s league defeat at Southampton. A second loss in four days was a bitter pill to swallow. The hosts played well in patches but were guilty of wasting several chances, especially before the break. Tottenham goalkeeper Paulo Gazzaniga, in for rested Hugo Lloris, was also inspired when he needed to be, clawing an Aaron Ramsey volley on to the post just before halftime. The Argentine was first Spurs goalkeeper to keep a clean sheet away at Arsenal in any competition since November of 1998. Arsenal started brightly and Henrikh Mkhitaryan glanced a header across the face of goal before Ramsey flashed a shot wide. Mkhitaryan then wasted a gilt-edged opportunity when clean through on goal, shooting too close to Gazzaniga. Tottenham took the lead in the 24th minute when a long punt forward was flicked on to Alli. The England international showed great vision to set Son racing clear and the South Korean calmly curled past Cech. Moussa Sissoko should have extended Tottenham’s lead but fired wastefully over and it was Arsenal who ended the half strong with Ramsey’s volley forcing heroics from Gazzaniga. Arsenal introduced French striker Alexandre Lacazette just before the hour mark. But it was Harry Kane, who came off the bench at the same time for Spurs, who made an immediate impact. Kane chested down a high ball and his lofted pass released Alli. His first touch was sublime and his second lifted the ball over the advancing Cech to double Tottenham’s lead. Lacazette hit the woodwork late on but Arsenal rarely looked like denying Tottenham victory. Tottenham are hunting their first silverware since 2008 when they beat Chelsea in the League Cup final. But they lost to the Blues in the 2015 final in Pochettino’s first season in charge. “A very difficult draw, another London derby. We have already played Watford, West Ham and Arsenal,” Pochettino said.